warning: I have never delt with a more insufficient and disorganized company in my life. 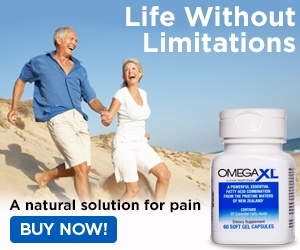 I had ordered product for my Granddaughter because she was in great pain due to inflammation and after 6 months and increasing the dosage as recommended by XL there was no improvement to her health. I also referred this product to someone else and again no significant change in there health. Great Health also shipped product to me even after I had cancelled my order and I had to go threw the same scenario as I did before to get my money back. I finally have my life back, but what a fight. " BE WARNED "
Review #511966 is a subjective opinion of User511966. That product is total ***. I don't see how Larry could endorse that. I would advise anyone to stay the *** away.